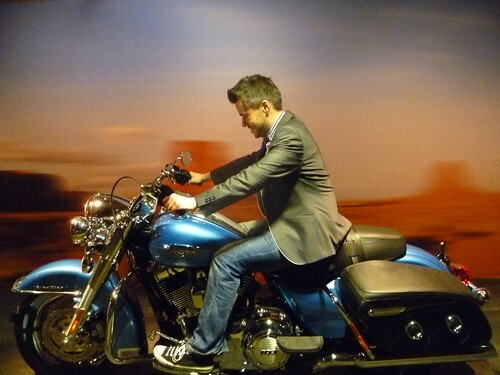 We have had a busy last few months at Hoffi, branding, planning, designing the Customising, Culture & Harley Davidson Exhibition at the Museum of Science and Industry (MOSI) in Manchester. Customising, Culture and Harley-Davidson spans early Harley-Davidsons to the very latest in customised motorcycles, many of which have never been displayed to the public before. The exhibition is created by the Claridon Group and MOSI. It is the first time ever that an exhibition has showcased the historic and radical customs of Harley-Davidson® motorcycles, and the culture surrounding them. 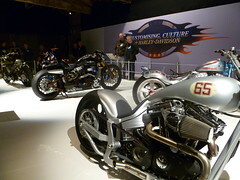 Over 30 motorcycles will be featured in the exhibition, including models from the UK, Germany, Japan and the US. Each bike has its own story, from a rare 1909 model – built in the first decade of Harley-Davidson’s production heritage – to motorcycles used for the US military and police in the 1930s and 1940s, to the 1948 Ice Road Panhead, which defied motorcycle capabilities in conditions of minus 53 degrees, to complete an expedition to the Arctic. 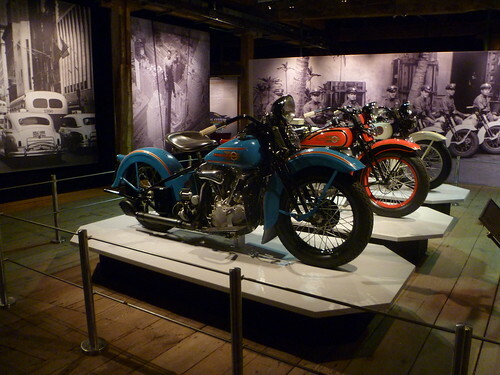 The exhibition includes a fascinating section on the tradition of radically customised Harley-Davidson® motorcycles, two of which have been created especially for the exhibition. The spectacular Bell & Ross motorcycle, which won 1st place in the AMD Modified Harley-Davidson Championships in Dublin, is also the first of a rolling programme of guest motorcycles in the exhibition, courtesy of Sussex-based authorised dealership Shaw Harley-Davidson.